“My accountant will have a better idea of the money we’re spending. 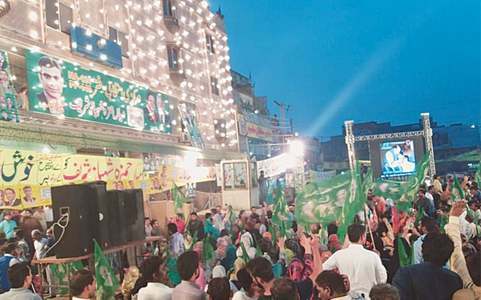 I’m focused on running the campaign,” said PML-N candidate Miftah Ismail, who served as federal finance minister in the last government. He’s running his campaign from the head office of Ismail Industries, a confectionery business whose majority shares are controlled by his family members. His average personal income is more than Rs100m a year, he says. 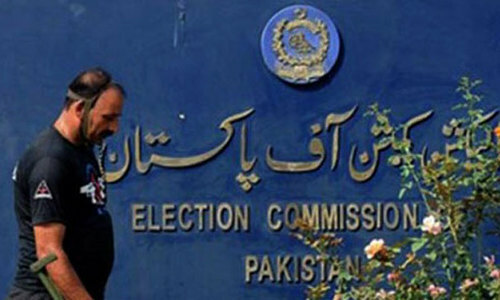 The PML-N runs a nationwide campaign on TV and newspapers, but it doesn’t fund campaigns of its individual candidates. They have to arrange their own funds, Mr Ismail says. He says a typical campaign in an urban NA constituency should cost anything north of Rs20m. The inability or unwillingness of candidates to come up with an estimate of the actual cost they’re incurring is also because a big chunk of it is intangible. 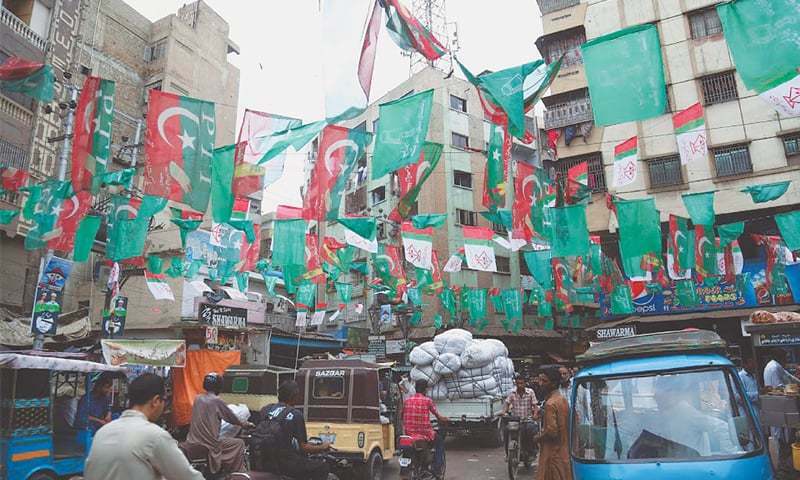 For example, the candidate for the Pakistan Tehreek-i-Insaf (PTI), Ali Zaidi, is running his campaign from the head office of Paragon Constructors, one of the biggest construction firms operating in the country. But does this not constitute a possible conflict of interest? After all, the company in question is a key stakeholder in numerous projects of Bahria Town, a controversial real estate developer fighting a number of lawsuits for alleged land-grabbing. The website of Paragon Constructors lists Bahria Apartments, Bahria Town Karachi Bridge, Bahria Town Amusement Park, Bahria Town Ali Villa and Ali Plaza as its executed projects. Shouldn’t there be proper accounting and disclosure about who is pouring money into a campaign? Mr Zaidi agrees. “Everything can have a conflict of interest. But I’m not eyeing to be minister for development,” he said in response to a question about the possibility of his benefactor wielding influence if he and his party come to power. 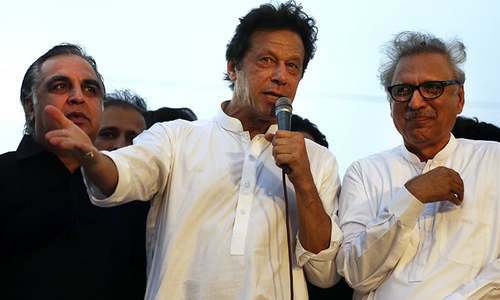 “Our whole fight is against this culture of nepotism,” he said while claiming that no businessman would receive any undue favour from his party’s government. Like the PML-N, the PTI doesn’t provide its candidates with any funds. The campaign bus that he has rented for a month costs Rs700,000, which includes branding expenses, drivers, petrol and maintenance. Two billboard trucks cost Rs150,000 each. “That’s Rs1m gone,” he says, noting that he couldn’t afford to deploy more vehicles because he must stick to the spending limit. But the cumulative cost of the whole campaign should be around Rs20m, he says. As for the PPP, its candidate Mian Waqar Akhtar Paganwala says his party hasn’t extended any financial support to him to fight the election. As per his estimate, he’d spent Rs2.8m until four days before Election Day and his total spending was likely to stay within the prescribed limit. However, this doesn’t account for the material support he is receiving from his friends in various forms, such as free/subsidised printing of handbills and election merchandise. The party collects donations from the general public and spends them through different committees that report directly to headquarters, he says, adding that candidates don’t get access to any party funds. After spending millions they have to recover back within two three months. After that all is is profit. Those who do not know the rules of business in politics can never be be successful and positive for public leaders, if they come fore to lead. Rich peoples business on the shoulders of poor people. same happens in india in every single elections. in 2019 Indian Elections every single poltical party colectively will spend more than $50 billion US to lure voters. anyways they ll make they can gain this money once again after elections . win-win for all parties! After being elected to office they still have no idea how much they are spending. wasn't not perfect if this millions of money would spend on welfare of people of this constituency by cooperative approach of nominated representatives ? this clearly reveals their greed for power rather than a sincere emphasis on people's issues. Of course huge investment entails healthy return, rest comes after profit is realised. So it seems the spending limits are there to be broken? Make sure there is an audit trail. And that is true now around the world. Democracy is for the rich not poor. In other words Trickle down benefits. The voter gets the least of the trickle and sometimes none. Honor of voter is the least. That’s why our countries are so poor. Hopefully Pakistani people vote carefully and wisely. Unfortunately, this is true everywhere. The only winner is the media which makes big money from all the election ads.